I’m thrilled to welcome crime writer Gilly Macmillan to the blog today for a “Meet the Author” Q&A! Gilly’s 2016 psychological suspense novel THE PERFECT GIRL was an instant-hit for me, and to make things even better, she has a new book out this coming Tuesday: ODD CHILD OUT (on sale 10/3/17)! I’m always thrilled to learn more about the authors behind books I love, and am particularly excited about today’s blog post. In our Q&A, Gilly shares insight into the path that led her to become a crime writer, the sources of inspiration for her novels, what her writing routine looks like, and a whole lot more. Many thanks to Gilly for answering my questions so thoughtfully - her responses are absolutely fantastic, and I hope you’ll enjoy reading them as much as I have! In this post, you’ll find: plot summaries for Gilly’s three suspense novels and my “Meet the Author” Q&A with Gilly! Crime by the Book: Have you always aspired to being an author? Gilly Macmillan: No! And now that I am an author I find that a bit odd although I think I’ve probably been an author in training for as long as I can remember. I just wasn’t aware of it. I have always been an obsessive reader: I’ll read anything, in any genre, so long as it keeps me turning pages. I’ve always enjoyed writing, too. When I was young I wrote long and plentiful letters to friends (yes, I am old enough to have spent years corresponding by letter! ), and later I enjoyed writing essays for my college degree and written pieces at work. I had a go at writing fiction in my twenties but never developed anything beyond a few thousand words because work and family life got in the way. It wasn’t until I was in my forties that I decided to have another go at it. I set myself a very specific challenge: can you write a whole book? I come from a long line of pessimists and I don’t think it ever occurred to me even then to imagine that I could be ‘an author’ as my profession – I knew how stacked against you the odds of being published as a debut are – so instead I focused on trying to produce one complete book. I managed that and to my absolute amazement it has led to a career as a full-time author! So you might say that a dream I didn’t really know I had has come true. CBTB: When was the first moment you decided to try your hand at crime writing? What inspired you to give it a try? GM: It was that moment when I set myself the challenge to write a book. I knew I only had a limited amount of time, because my kids had all just started school and I really needed to get a ‘proper’ job before too long. I had toyed with and tried out a few ideas but one was wrong because it felt too personal, and the other was a historical fiction idea and the research was very time-consuming, so I asked myself which genre I most enjoyed reading and the answer was easy: crime fiction. It’s a fantastically versatile and brilliant genre, with a great tradition and is so well loved. There’s room in it for suspense, great characterization, terrific writing and engagement with issues that people care about, as well as big thrills. What’s not to love? My mind was made up. CBTB: Your third book, ODD CHILD OUT, is going to be published here in the US this fall - congratulations!! How do you feel your writing has grown or evolved from your debut, WHAT SHE KNEW, to this new release? GM: Thank you! I’m excited and nervous in the lead up to publication as usual! With each book, I have tried to push myself to do something a bit different from the last. It’s a way of keeping my writing and my stories fresh for both me and my readers. What She Knew was a traditional detective story in some ways so I wrote The Perfect Girl as more of a family drama with a thriller edge to it, and some have said it works as a YA book, too, which makes me happy. I enjoy the challenge of developing new characters and voices and the character of Zoe in The Perfect Girl was a big one for me in that respect. Zoe was a real departure from the characters in What She Knew, who might be more familiar to a domestic noir readership. Zoe’s an unusual kid, prodigiously bright, emotionally intelligent but traumatized, too. She was a complex character but I loved developing her and her voice came easily. Odd Child Out has been interesting because I have reintroduced the character of Jim Clemo, the detective in What She Knew, but wanted the book and my writing to develop at the same time. To try to achieve that I’ve broadened the plot in Odd Child Out to take it beyond the domestic sphere and into more general thriller territory, and I’ve introduced a wider range of characters to tell the story. Day to day, I have made efforts to hone how I work so I can produce the books more efficiently and avoid many of the mistakes I made in early drafts of What She Knew. I’m always working on improving my prose and the way I structure and present the novels. I’m looking to be more economical and efficient in my story telling without losing any of the emotional impact of the stories. Whatever I do, I follow my gut as a reader. I think I’m a reader first and foremost so I always ask myself ‘Would I want to keep turning pages if I was reading this?’ That’s a question I asked myself continually as I wrote What She Knew and I expect I’ll be asking it for the rest of my career. CBTB: Where does the inspiration for your stories come from? Is it possible to generalize, or does it vary on a case-by-case basis? GM: It varies. What She Knew was inspired by a question I asked myself: What is your worst fear? The answer was obvious: losing a child and not knowing what has happened to them. The whole book developed from that one idea. The Perfect Girl had its genesis in a real-life case I heard about. It concerned a teenage girl who had a car accident, like Zoe does in the book, and caused the death of her friends. In the case of that girl, she was sent to prison and was never able to get her life back afterwards. She became drug dependent while she was incarcerated and when she was free she couldn’t shake the habit and get her life back on track, in spite of the loving support of her family. I was haunted by the thought that her life was ruined by one simple mistake made at such a young age. I kept wondering how you come back after something like that has happened to you. It led to Zoe’s story in The Perfect Girl. Odd Child Out grew from a scene I imagined in which two teenage boys from very different backgrounds found themselves in an inexplicable and dangerous situation in my home city of Bristol in the UK. I love and am intrigued by stories about friendship so it was a dream to write one. The two boys in Odd Child Out are in peril because of who they are, where they live and what has passed between them. CBTB: What does your daily writing routine look like? GM: I drop my kids at school by 8am and as soon as I return home I start work. That’s my golden time for writing prose, when my brain is as fresh and functioning as it ever gets and before anything else intrudes on my day. Sometimes I leave the house to remove myself from all domestic distractions and I work in a café with a set of headphones firmly plugged in, and sometimes I get going at my desk at home. Occasionally I go to a library. It depends on my mood. I’m very versatile about where I can work. Either way, I eat a good breakfast and armour myself with a big cup of coffee and I write for as long as I can. After that, it’s a dog walk and lunch. It’s rare that I have the energy to write more prose in the afternoon – though a deadline can make that happen! – so I get on with the other parts of the job: social media, paperwork, etc. It’s a good rhythm for me. CBTB: When you’re not writing crime fiction, do you also read crime fiction? If so, what are a few crime books you’ve recently read and enjoyed? GM: Yes! I read crime fiction obsessively though I mix it up a bit with other genres because I think that’s good for me. Lately I’ve loved His Bloody Project by Graeme McCrae Burnett, The Dry by Jane Harper and two true crime novels have really impressed me: The Fact of a Body: A Murder and a Memoir by Alexandria Marzano-Lesnevich and The Adversary: A True Story of Monstrous Deception by Emmanuel Carrère. I recently tore through Shari Lapeña’s A Stranger in the House and enjoyed reading a new translation of a classic detective story I’ve loved for years: The Pledge by Friedrich Dürrenmatt. CBTB: Are there particular authors or books that you feel have influenced your writing most strongly? GM: At the heart of my fourth book is a chilling cold case. Twenty years ago, two boys were murdered in Bristol and their bodies were dumped by a dog racing track. Questions remain over whether the man convicted of their murder was innocent. Their best friend has been haunted by their deaths his whole life. He returns to Bristol to investigate the crime himself for a podcast. He hopes to uncover new evidence and to try to come to terms with what happened. As he begins work, a skeleton is discovered near the site where the boys’ bodies were discovered. The detective who was closely involved in the original investigation into the boys’ murder must begin work on this new case just as the podcast forces him to revisit difficult memories of the old one. He must decide if the two are linked and if the discovery of the new body creates fresh danger. 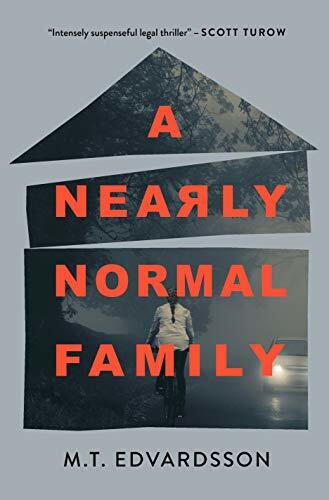 The book is about the way crime can strike families as unexpectedly and devastatingly as a lightning bolt, the longing for closure, the danger of digging through past events and the guilt of a mother. I’m very excited to be introducing a new detective in this book! Many thanks to Gilly Macmillan for answering my questions so thoughtfully! It’s an absolute pleasure to share this Q&A today. Thank you as well to Gilly's publisher for facilitating this interview. ODD CHILD OUT releases Tuesday, October 3rd!